On our first day, we all glammed up for a party, dinner, and fashion show. I was super happy with the way this outfit turned out! Doesn’t it look like a designer dress? It’s the Striped Bell-Sleeve Top and Striped Maxi Skirt from the Chico’s Traveler’s Collection! Everything in this collection is wrinkle-free and packable, pieces that are versatile enough to mix and match for a trip. How cute would this skirt be with a white tee and denim jacket? Or the bell sleeve top with a pair of trendy jeans? I could go on and on of course. The Artisan Drop Hoop Earrings are reversible so they’re basically two pairs of earrings in one. Also perfect for traveling! The Sleek Tassle statement necklace is also versatile; it converts from this long pendant style to more of a collar length. I like the hearty feel of it, but if you’re trying to pack very lightweight, it may be a bit heavy. Still, isn’t it sharp?! Of course the bottom line is that l will wear this outfit for much more than just traveling! How cute would it be for a day of teaching? Lunch and shopping with the girls? Even a date night with the hubby, right? 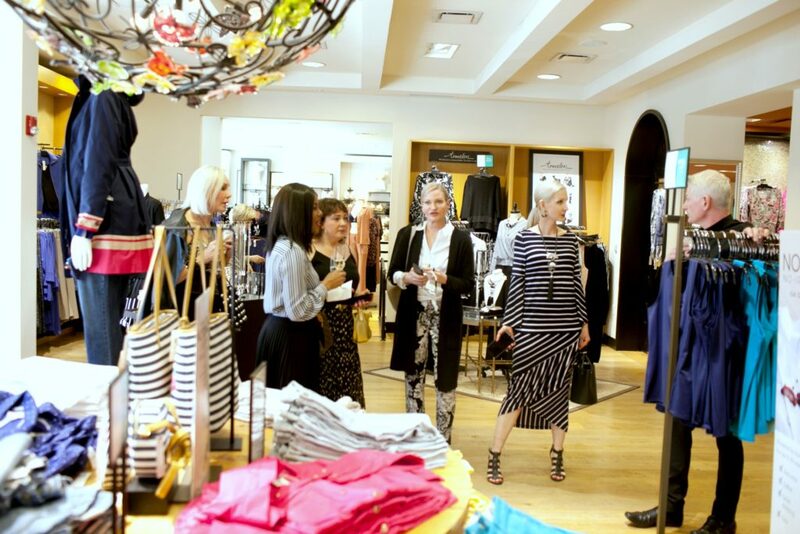 The Palm Desert Chico’s is located on El Paseo, which is known to seasoned fashionistas as the Rodeo Drive of the desert. This store is the largest in the chain, with the most business too. I loved checking out the huge store and seeing all the items. I would wish for more large stores like that, but I know that we all shop mostly online these days, myself included. We arrived at the store, ready to party! Chico’s generously gave us all gift cards, and of course we couldn’t wait to shop. We also got to meet the local Chico’s team, along with many sweet and fun customers. 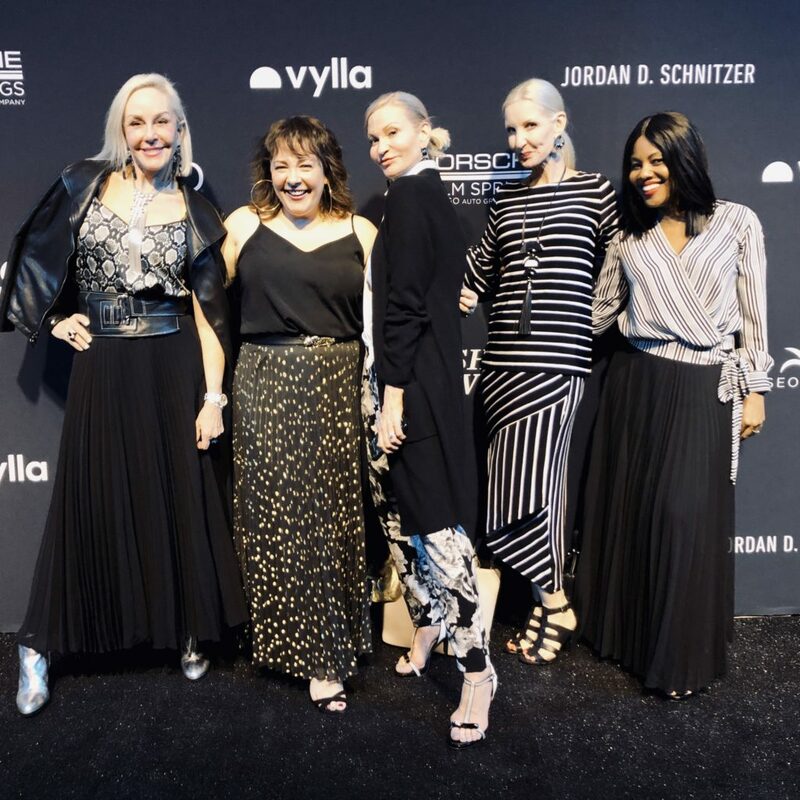 When you have fashion in common, the connection comes quickly and before we knew it we were all munching on delicious snacks and talking about style. After the party, it was off to a luxe sushi dinner with the ladies, and let me just say this squad was the sweetest, funniest, and most badass babes I know, and that includes not just the bloggers, but the Chico’s team as well! 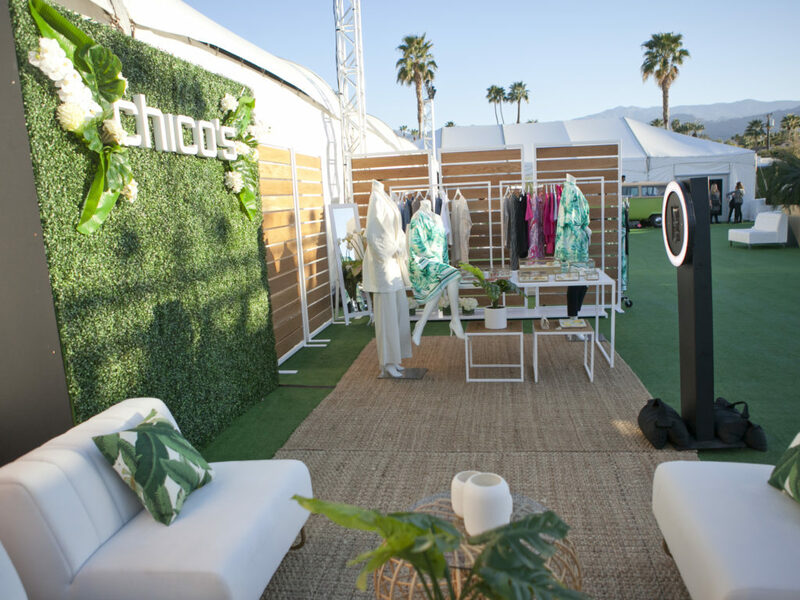 Then it was on to the Fashion Week El Paseo tents, complete with a Chico’s pop up shop, showing fun and fabulous brand new spring items. Along with checking that out, we also got to meet Ari Seth Cohen, author of the books Advanced Style and Advanced Love. It’s always a pleasure to meet someone who supports mature fashionistas. By the way, Ari was very nice and happy to take photos with us. After that it was time for the first fashion show of our trip, California Unzipped. It was a fun combination of three California designers who were all very different and unique. If you’re following me on Instagram, you saw bits of the runway show. My favorite was Zandra Rhodes, who is just rocking of-the-moment style, at 79 years old! After a full and fun day of fashion and excitement, we turned in for the night. Just wait to see what the next day brought! The Chico’s Squad at the party. 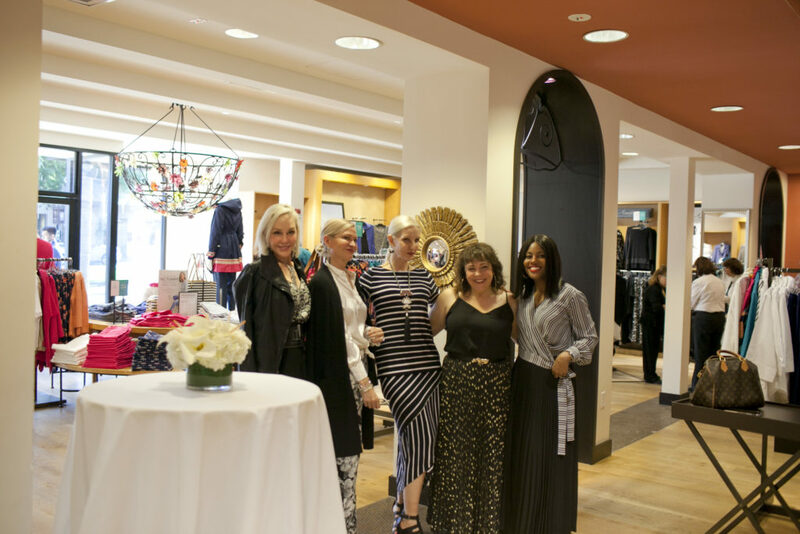 Fun shopping with She She at the beautiful Chico’s on El Paseo. 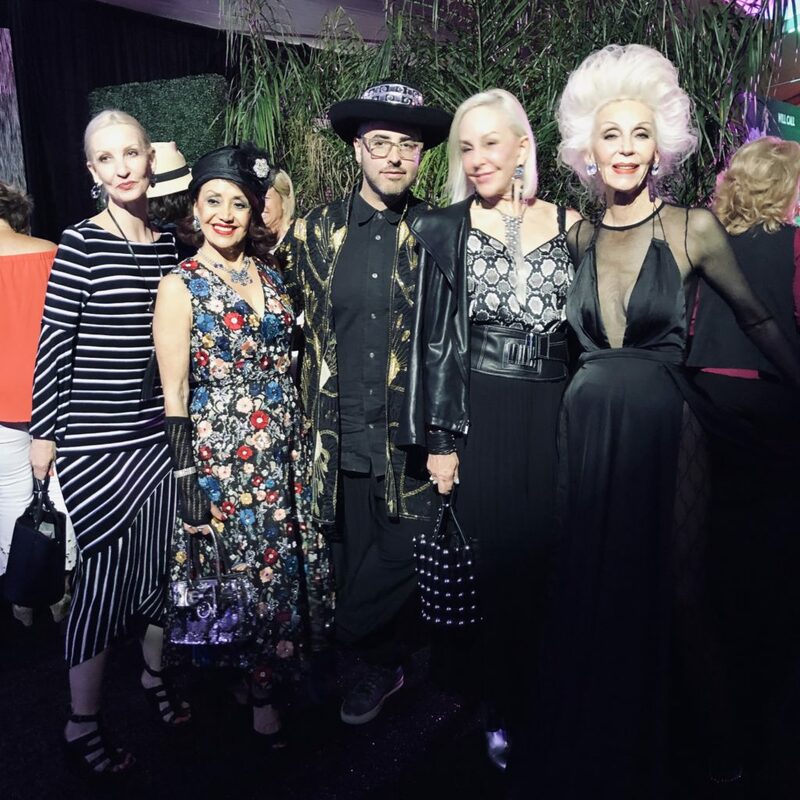 Ari Seth Cohen supports mature fashionistas. Stay posted for more fun and of course more fashion! 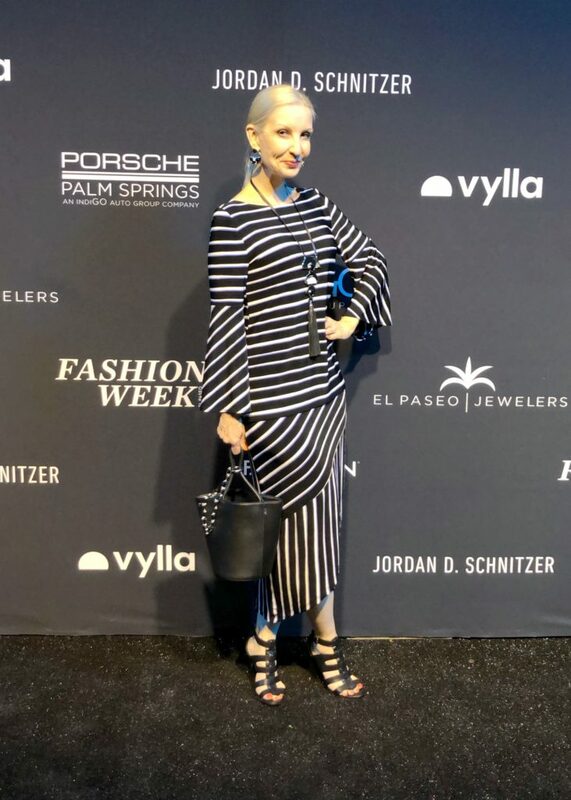 Be sure to check out this post too, where Jamie and I are giving Jambu’s new comfort sandal a spin in Palm Desert. Hey, are you planning a spring or summer trip? Or maybe a big wedding or reunion? If you have anything coming up that you want to look your very best for, be sure to read my friend Kali’s beauty tips. This is a chick that knows about beauty, skincare, and travel! Are you signed up for the Fashion Should Be Fun weekly newsletter? 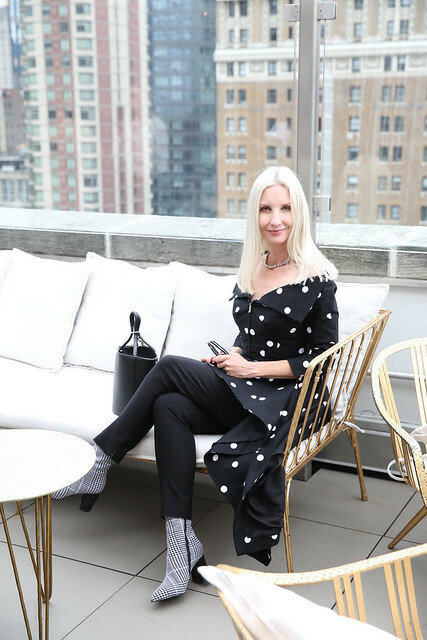 Every Friday you get behind-the-scenes chit chat, sales alerts, and access to personalized style advice … all for free! What’s not to love about that? Oh my goodness, I was waiting for this post after seeing your adventures on Instagram Stories! What an absolutely fabulous trip with Chico’s! From the pop-up to the hotel to their store to the fashion show, it all looked incredible. 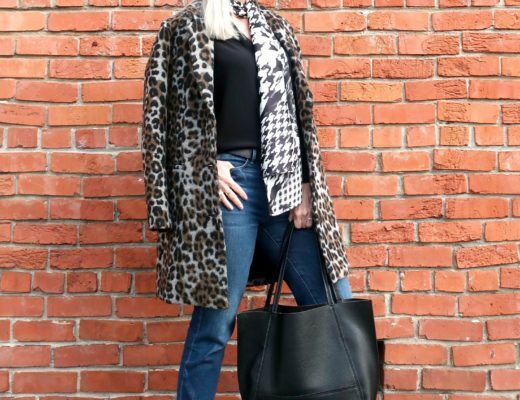 Love the pieces you chose to rock while traveling! You so perfectly captured day one of our trip! Day two was so different but yet equally as fab! Yes both fab days in their own way! And a totally FAB experience all the way around!!! Thanks a million,Kali! I wasn’t 100% sure when I picked this set that it would work just right and be flattering, but I’m so glad I did because I love it …!! Several customers in the Chico’s store came up to ask me to ask if it was Chico’s and wanted it for themselves! Alison, I just had an amazing time with you .. and with ALL the girls. What a group! It was so fun meeting you person and you’re exactly who I thought you would be: real, funny, fun, & badass!!! Can’t wait for our next adventure together (fingers crossed!) …!! Such a great post Dawn! 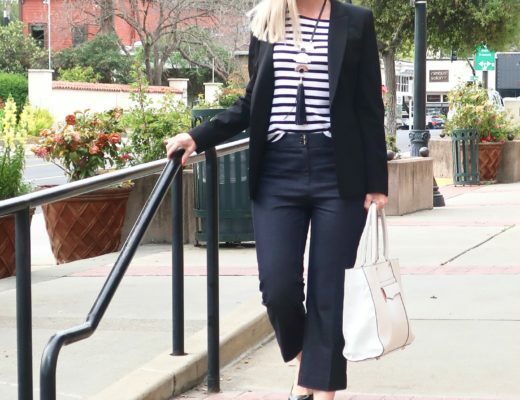 Loved your chic travel separates from Chico’s. The way you paired them was perfect and it does look like a designer dress! We really did have an amazing time! I was pleasantly surprised how flattering this skirt was. I took a bit of a chance, but it worked out perfectly! Thanks so much for stopping by and commenting. I always appreciate it! 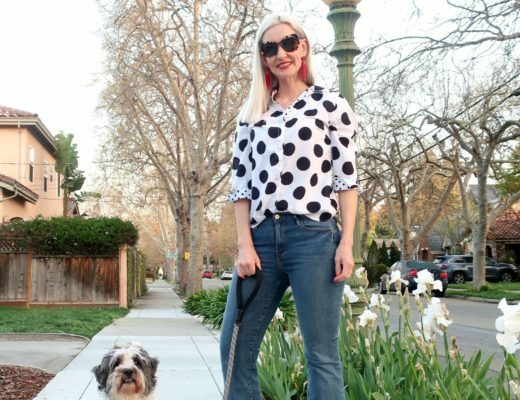 Chico’s is fabulous and I absolutely love what you’re wearing! So chic! Thanks so much, Kellyann! Chico’s has totally stepped up their game in the last several years and it’s my favorite brand now! BTW I love that b&w outfit, you look really fashionable, but comfy too! I’ve got something really exciting coming up that I want to tell you more about, it involves fashion and my paintings. When I have more info I will email you! I can’t wait! Oooo I’m so excited to hear your news!! Gosh, I really did have an amazing time and felt so spoiled! Yeah for the school year winding down … coffee this summer for sure! How fun! What a super opportunity for you Dawn! It really was an amazing opportunity! I was so excited and everything was just as fabulous as I had hoped it would be! Thanks so much for stopping by, Shelly!